After troubleshooter Kofi Annan’s entry to the Syria scene came the massacres -- first in Houla and now in the Hama countryside. By tonight, Annan will be pulling a rabbit out of his hat. He will tell the 15 members of the UN Security Council of his “Plan B” and then wait for the count of takers. 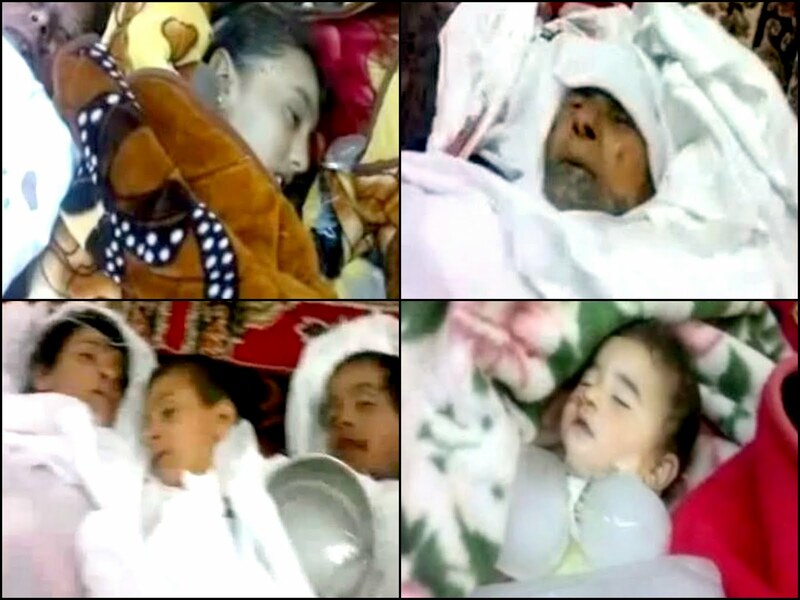 The death count in yesterday’s Hama countryside massacre is provisionally put at 86, many of them women and children. Government-backed shabiha militiamen stabbed and shot their victims in the villages of Mazraat al-Qubair and Maarzaf, about 20 kilometers northwest of the city of Hama. "They executed [nearly] every person in the village. Very few numbers could flee. The majority were slaughtered with knives and in a horrible and ugly way," one activist in Hama told the BBC's World Tonight. "The small number of villagers who fled were the only people remaining who could tell the world about this horrible massacre." A Qubair resident told the BBC when the army and militia left the village, he discovered about 40 bodies -- mostly women and children who had been stabbed to death. He said he saw the burned corpse of a three-month-old baby. Activists, including the Observatory based in Britain, called for an immediate investigation. "The Syrian Observatory for Human rights calls on the international monitors to go immediately to the area. They should not wait to tomorrow to investigate this new massacre," it said in a statement. "They should not give the excuse that their mission is only to observe the ceasefire, because many massacres have been committed during their presence in Syria." In a statement on state TV quoted by AFP news agency, the government said "a terrorist group” committed the “heinous crime". The Local Coordination Committees, an activist network, said the Qubair killings took the total number of people killed nationwide by security forces on Wednesday to 140. Annan, the joint UN-Arab League envoy, will give his latest assessment of the Syrian crisis at an open meeting of the UN General Assembly on Thursday morning (New York time) and then brief the Security Council behind closed doors later in the afternoon. UN diplomats expect Annan to present Security Council members with a new proposal to rescue his failing peace plan -- a "contact group" of world and regional powers to help end the violence. The group would bring together Russia, China, the United States, Britain, France and key regional players, such as Saudi Arabia, Qatar, Turkey and Iran. If this is what Annan plans to suggest, he's already been met with objections from the U.S. and Britain, who don't want Iran to participate. Leading political analyst Abdelwahhab Badrakhan, writing today for the pan-Arab daily al-Hayat, says what comes next after the collapse of Annan’s six-point plan “is unclear – except that the gradual trend for outside intervention is already on the table. “But such intervention, if it were to happen, won’t restore the regime’s lost national and pan-Arab virginity. The regime proved so brutal and oppressive and committed so many crimes as to make its forcible ouster a humanitarian duty. “Obviously, invoking Chapter VII of the UN Charter, as the Arab League wants, won’t be easy. It would mean eventual recourse to military action, which is anathema to Russia and Iran. They are the two countries intruding the most to buttress the regime. But both know the regime can’t survive -- hence their concern. Badrakhan says time is short for the “grand bargain” that would put all the principal bilateral differences between Washington and Tehran – including Syria -- on the table at the same time and agree to resolve them as a package. True, he says, the idea of a palace coup in Syria (that would overthrow President Bashar al-Assad by his inner circle) has become redundant. But it always remained the inevitable synonym of “real reform.” To preempt the growing threat of outside intervention lacking a UN mandate, Russia and Iran have no viable option to safeguard their national interests other than engineer a palace coup in Damascus.